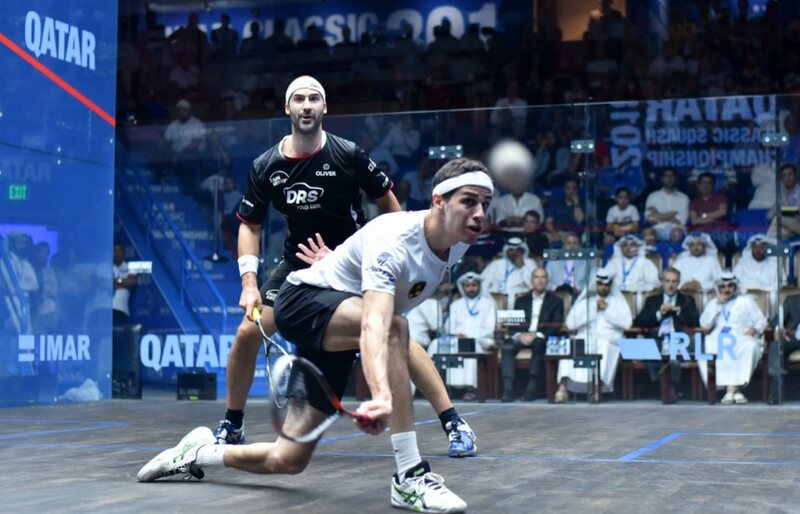 Egyprt’s second seed Ali Farag claimed is second PSA Platinum title as e beat fourth seeded German Simon Rosner in straight games in front of a packed crowd – mainly rooting for him – at the Khalifa International Tennis and Squash Complex in Doha. Trailing for most of the first game, Farag finished it strongly to take the lead, and never looked back as e dominated the next two games, aided it must be said by several unforced errors from Rosner. “At the beginning I saw how crowed the venue was and the screams of the crowd were crazy which made me nervous – it took me a little while to calm my nerves down,” said Farag.